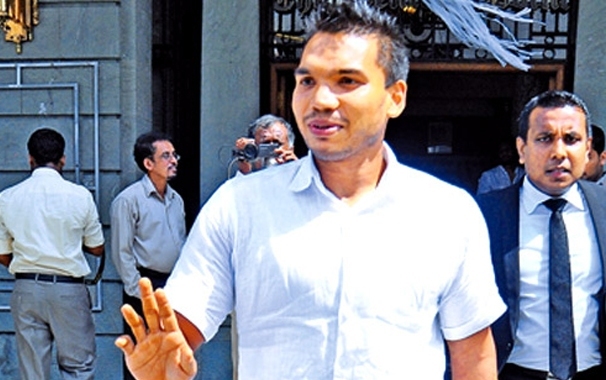 UPFA Parliamentarian Namal Rajapaksa yesterday filed a defamation case against the OIC of the Financial Crimes Investigation Division, Premaratne and Sub Inspector, FCID, Don Shanthalal. The plaintiff has said that these officers filed a malicious, politically biased complaint against him in the Fort Magistrate’s Court, defaming him. Damages up to Rs. 100 million have been demanded from each of the FCID officers cited as defendant in the District Court plaint. The complaint made by the FCID is of alleged money laundering. Rajapaksa has said that his public reputation as a representative of the people has been tarnished by the defamatory complaint.